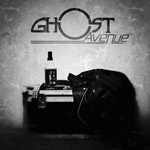 Formerly known as Ghost, prior to the release of their second album, the band changed their name to Ghost Avenue making the new release eponymous. There's little information for the reason on their web page. Perhaps, it was to distance themselves from the Swedish occult rock band of the same name. What you get with their new album is essentially heavy metal with a melodic hard rock groove much like their previous work. Excepting the quasi-anthem, All I Can Say, all the songs are straight up headbangers with songs like Rock n Roll Tree, Ghost Avenue, and Two Drinks (best cut) having more of that rock groove. 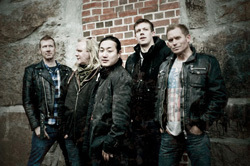 Vocalist Kim Sandvik has clean style, little raspy or sandy. But sometimes it sounds like he's straining to stay ahead or above the music. While it's not entirely clear win their bio, Ghost Avenue appears to have a twin guitar leads from �ystein Wiik and Andr� Berger. Their lines are clean and sharp sticking with a classic rock/metal guitar sound, with little or no neo-classical noodling. Other interesting tracks include Right Direction which has some spry drumming from Petter Chris Lein and Crazy Eyes, driven by a strong bass line. It's all rather straight forward stuff, melodic hard rock and metal. No muss, no fuss. It's not vanilla, but neither is Ghost Avenue pushing the envelope or differing from their previous album. Ghost Avenue's second album is rather straight forward stuff: melodic hard rock and metal. No muss, no fuss. It's not vanilla, but neither is Ghost Avenue pushing the envelope.